At the GoGreen convention in Phoenix, companies were warned not to make false claims about how green their products are in an attempt to gain market share. The New York Times reported on how consumers are protecting themselves and others against this dirty practice called greenwashing. In an effort to determine the validity of today’s increasingly common green advertising, the Greenwashing Index was established four years ago. This is a website where consumers can rate and report companies that are honestly trying to improve the environment, as well as expose those that are just trying to save money or make aesthetic changes that have no real environmental impact. By logging on to the website, consumers can rate an ad on five distinct conditions. These include whether the ad misleads with visuals, misleads with words, makes vague or baseless claims, exaggerates its green qualities, or omits information to enhance its green claim. There is a ratings system of one to five, with a score of one for an honest ad, three for a suspicious one, and five for a deceitful claim. Mr. Tuerff explained that honest green advertising should demonstrate authenticity, as well as have a source to validate the claim and third-party support to reinforce it. He is hopeful that the Federal Trade Commission will soon issue new green marketing guidelines that will penalize companies for making false claims. Until then, he’s encouraging consumers to use the Greenwashing Index as a way to reveal the truth about green advertising claims. 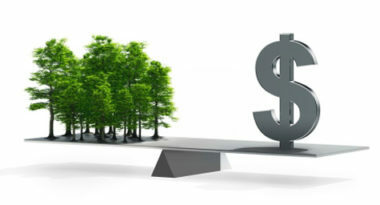 To discover the right way to implement green advertising, contact MDG Advertising.